The last few weeks have been so full of God’s blessings and extravagant surprises. Every day another gift, beautiful and unexpected. I feel spoiled rotten by the God of the universe, His love just too good and too perfect for little, broken me. I shared this with a close friend recently, giggling with surprise and awe like a little girl who just received a marvelous present from her Daddy. His response was perfect. “He loves you, Katie. You’re one of His favorites.” He laughed and I laughed but it stuck. One of His favorites. That is what I have felt like this last two weeks. Lavished with love. But isn’t that what He wants every one of His children to feel, all the time? Each and every one of us created perfectly in His image. Each one cherished. Each one “one of His favorites”. How would life change if we thought of each other as such? If each person that approached us we treated as beloved of God, cherished by God, one of God’s favorite people? I carried it with me today. As I bought beads from women in a slum I thought of them as His favorite people. As I counseled a mother struggling with alcoholism I wept that one of God’s favorite people was struggling like this. I rejoiced with a grandmother who for the first time proclaimed Jesus after watching Him heal her granddaughter miraculously last week. And I smiled at the Joy that I knew God found in her – one of His favorites. The God of the Universe delights, DELIGHTS in you. In me. In them. Could we rest in that? Could we live like that? In a horribly atrocious accident, a traditional healer in Masese mutilated a sweet little boy’s throat and mouth. Believing it to be beyond repair I took him to the main government hospital where we spent the next 12 hours. Most of the time I just breeze in and out of this place – drop someone off, bring someone food, welcome a new baby into the world. But today we just sat. One operating room and 12 patients ahead of us – we sat and sat. And it was as if I had been given new eyes. I looked at the cold hard cement floor and the cold hard faces of the people who work there. Glimpses of things I had just experienced at Vanderbilt Children’s Hospital a few weeks earlier with my own daughter flashed in my brain in a horrible contrast to this place I was now seated. Ward 9 is the accident ward. A little girl came in with her ear cut off. A mother carried a baby that had fallen into a pot of boiling water. A man came in with his hand mangled, ripped to shreds by a piece of machinery, in need of amputation. Someone’s wife died. Someone’s mother died. Someone’s baby died. All those people right there in that cold cement building and all of their lives drastically altered in just a moment. In just an instant their realities changed – forever. I couldn’t stop thinking as I sat there about how the next days weeks and months would play out for each one of them with their new, different realities. And I looked at all off them. All of that pain and all of that suffering and all of that sorrow and all I could think as I looked at each of those faces was “You. You are one of His favorite people.” And I prayed they would know it. I prayed they would know that God was holding all this chaos in the palm of His hand, even this pain having purpose. A year ago today, I was one of them. I sat in a small cement room in a village hours away and life as I knew it fell apart. Ceased to exist. A little girl that had been mine for 2 years went back to live with the mother God has given her at birth. And thus began a journey, even that pain had a purpose. Months later Jane and her birth mom, Nancy showed up at my doorstep. Nancy had lost her job and they had been evicted from their house. They were both sick and now they were homeless. So they moved in. After lots of loving and lots of encouraging and lots of days when I felt my heart would just be ripped out of my chest as I watched my baby girl learn to call Nancy “Mom” they moved out again. We had found Nancy a job translating and cooking for Amazima, we had enrolled Jane in Kindergarten, and it was time for Jane and Nancy to be their own family – still good friends with, but separate from ours. I just longed to tell all those people in that hospital that a year later, I can say, “Yes. This is the hardest year I have ever done.” But I can also say, “I would do it again if He asked me.” Because Faithful God did not let go of our hands. This new life has been hard to learn. But we have learnt it. Life changes in an instant and God sees all of it, redeems all of it, uses all of it for His good. And as I look back over this year I realize something. Such purpose in the pain. Our beautiful, spoiling, extravagant Daddy didn’t want to just give Jane a family. He wanted to give Nancy one too. This wonderful Father of ours, He didn’t want just Jane to come to know Him, He wants Nancy to come to know Him too. Because Nancy, she is one of His favorites. Isn't that the best news ever?? I love this post. WOW. How humbling to know that I am also one of His favorites. I love that God has SO many favorites and not a single one gets slighted! Beautiful. You are such an amazing, obedient child of God! I am forever changed having heard you speak at Catalyst and just having read your book. I think of you often and pray for all of you. A year ago we said goodbye to our son in Bethel hospital in Ethiopia... it is hard... especially when what is needed is basic care. Your hard story with Jane touched me... and so have your adoptions... and daily walking that care out. We can't wait to do hard again too! Always stunned by your faith. I thank God that your words and inspiration have come into my life, which hitherto had been quite cynical and despairing. Hey, say hello to my little guy Ssozi Derek over there! His sponsor-daddy hopes he is doing well! Thank you for this. I am praying for those you saw along with you. So blessed to read this tonight. Thank you. I love Misty's Edward's song, Favorite One. Thank you for this reminder to look at each one as one of His favorites. God definately gifted you with words.... this post was beautiful. Love and prayers for you. One of His favorites...oh, I will remember that! Thank you for these wise words that we all need to hold on to. This is beautiful, Katie. I've been so sad about Jane ever since I read your book. I'm so thankful God is showing you his purposes for her and Nancy. And my heart aches over all those in such serious pain and agony with so little medical help. My husband (34) had a heart attack Saturday night, and God saved his life. We are so, so grateful, and I so want to help those who aren't so fortunate. Lord willing, we'll be hopping a plane for Cambodia next month for 5 weeks, loving on some of God's favorite people. If all Christians could think of ourselves and all those around us as One of His Favourites...what kind of world would this be? A beautiful one, for sure. If we serve God, we must always love and care for His Favourites. You always make me weep with joy and gratitude. Praying for you , the girls, your ministry daily - carrying you in my heart as He holds you in His. Keep Shining God's Light Katie! Precious. I learned today that my sponsored child (through P61 in Ethiopia) has been turned out into the streets of Korah by his new "step-father". I can't wait to tell him...."Teraku, did you know that you're one of His favorites?". Thanks for this. Thank you for pouring out your heart again here. I have been holding on to tears for days for a sick friend and your post allowed me to let them fall. I knew I needed that and I wondered when it would happen as it has been days now. I am learning faith when things are hard these days and I know it's a beautiful gift but it's also tough. Thank God he is God and that we are all his favorites - and thank you for this post. You definitely are the most powerful proclaimer and liver of the gospel I've ever met. Thank you for being the face of Jesus, the heart of Jesus. Katie, I opened my computer to catch up on the news and instead I checked your blog. I am so blessed over the top to know you are my sister in Christ. Our God who loves to extravagantly bless us continues to amaze me too. Time and time again! My husband & I are reading your book separately but loving sharing with one another. You are such a dear. I cry almost every time I talk of you and pray so often when I think of you. You have encouraged us to step it up a notch in our walk with our gracious King. You have encouraged us to love more right where God has us and then to the uttermost parts of the world. with much love to you sweet sister. Thank you to all the workers that come alongside you. Thank you. You are such an inspiration. I am reading your book and it is amazing! If all Christians lived out their faith like you the world would be so different. One of His favorites. This is beautiful. Something I need reminded of often. Yesterday I went out on the streets of Chicago with a couple of friends and met a homeless woman named Evette. We visited with her for about an hour and went back tonight to sit with her and hear more of her story. She has a beautiful heart, and a rough past. This is for her. She needs to know that amidst all of this pain and all of the hardships, SHE is one of His favorites. Thank you, Katie. That is beautiful. You and your girls are in my prayers along with your ministry. May you stay centered in the palm of His hands. I challenge any adoptive mother to read this post and not sob. Katie, I just finished reading your book and I can honestly say that He has used you and your girls and this glorious opportunity to change my perspective on every moment in my day. I am continually praying for you and your family, and also those that have the blessing of reading your beautiful words. I pray that it will touch them as deeply as it has me, and that He will have the glory. Another beautiful reminder of what it means to love like Jesus. Happy Birthday to one of His favorites. And for that -- how I praise HIM! Your story and you new book have touched a very deep place of pain in me. For many, many years, I felt a very real sense of "calling" to adopt special-needs children. However, I am a single man in my late 30s. The bias against me adopting (mostly from other Christians) is huge. I have a deep sense of compassion and love for unwanted and hurting children, but no tangible way to express it, beyond giving monthly support. To say that this is frustrating is an understatement. Thanks for doing what I can't, even though people may not approve. absolutely beautiful. thank-you for the reminder. may we each live this out each day! oh katie. this is absolutely beautiful. "Life changes in an instant and God sees all of it, redeems all of it, uses all of it for His good..."
what a promise to cling to. You don't realize it, but God crafted your words to reflect His for my life at this moment. Thank you. You are there and I am in the USA....yet at the same time a year ago God let our children go back to the people who birthed them. Your words are my words, Gods love for your nancy is the same as for my daughters mother....thank you for saying it out loud. This beautiful reminder started my day. Thank you! Love this. Just finished your book. Glad to hear the rest of the story about sweet Jane..and you..and Nancy. p.s. we are in process of adopting as well. Just found out yesterday the children we thot we were going to have were given to another. God has a plan even in the disappointments..we will trust Him. Yes, yes, yes! O, those birth mommas, need a lot of lovin', too. Amen, amen, and amen. Such a wonderful, wonderful reminder this morning! You truly exude God's love. What a wonderful lesson for all of us! Thank you for reminding the world that hope can be tangible - even in the dark. You are truly learning His heart. Hugs to you and all your little ones! I am so so touched by your insight and eloquence. And truth. Thank you for that reminder. In the hustle of being around all these kiddos, I need to stop and take a moment and truly look at each of them as God does, and see that they are one of His favorites. Thank you for your encouraging words! And have a blessed birthday. This is so perfectly written and I so needed to read this! Thank you! Since I finished your book and read your last bolg 2 weeks ago, I have missed you...But I've prayed for you everyday. I'm glad I got to spend time with you today. I found your website and blog Nov. 18, the day before you arrived back in Uganda. I have finished your book and loaned it to a friend last Wednesday. I ordered a copy for another friend. I pray for you daily. You have an amazing ministry. Thank you! It is in the moments I am feeling most stretched that I need to remember I am His precious child. Read you book last week. It tells so well the beautiful work God is doing in you and through you. Shared it with the gals at Bible Study today on 1 John 3 in the context of seeing someone who needs help and that God's love should spur us to act. Thank you for pressing us to live out the Gospel. Your post are such a blessing to me! How I long to be the woman of God that you are. Thank you for reminding me that I am one of His favorites! I am going to make a point of treating everyone who crosses my path as what they are, one of His favorites! May God continue to shower you with His love and blessings! YES! Such a beautiful post. You are one of His favorites! I am one of His favorites! just exactly what my heart needed today! I pictured it all. What an incredibly beautiful writer you are. Each word was picked for a purpose. Thank you for what you do on behalf of God's children. Amen... We are all "his favorites." What a loving and gracious God we serve. I just wanted to comment and say thank you for saying "Yes" to God. For being obedient and going where he has called you. I am at the point in my life where I have said "Yes" to God, that I will go where ever he calls. He has told me get ready to "go" :) Reading your book and hearing your story has been really encouraging and inspiring as I am getting ready to go where ever God calls. Thanks again Katie. You and your family are in my prayers. Reminds me of a note I found in one of my old journals lately. I am especially fond of you. Thank you for the reminder. For me. For my neighbor. For my friend. For my enemy. He is especially fond of each of us. I came to leave just one word, and someone beat me to it. "Beautiful"
I was so encouraged by your testimony at Brook Hills. Thank you for sharing the Spirit's words- your talk of taking small steps of obedience really resonated with me and has made me lean in a bit closer to hear God's voice and follow in the small things. I appreciate you! Reminds me of a book I used to have as a child it was called, "You are my favorites", if I'm not mistaken it was by Pope John Paul II. We are all His favorites, and, you are so right to challenge us, "How would life change if we thought of each other as such? If each person that approached us we treated as beloved of God, cherished by God, one of God’s favorite people? "...You are an inspiration to us all and I thank you for all you do. How wonderful that God allowed you to be in Ward 9 at that exact moment. Likely you are the only person who has ever prayed for the people you were watching. I love your blog. reminds me of the book "The Shack" where whenever God starts talking about one of His children, He grins and says something like "oh yes, he/she is one of my favorites...." just love that! we are all loved beyond comprehension- so beautiful! I just came across this part in your book and realized how this day must carry so much emotion for you. The update re: Jane - I'm so glad you are able to know and see and feel and touch her again...that God is so good (in a heart-rending way) to allow her to be close so you don't sit up nights wondering how she is or if she's hungry or sick or being cared for. Your life - it's Jesus. Thank you for being faithful to His call. His Grace is amazing and sufficient for each day and part of the journey! Katie, you are beautiful and this post puts God's heart on His sleeve! Thank you. Your faith, love, forgiveness, selflessness, and grace under pressure are astounding. I can just hear Jesus now as you enter heaven some day say "Well done, my good and faithful servant." As a fellow 23 year old woman with a heart for missions, orphans, and adoption, your book, blog, and life inspire me everyday to continue to work towards quiting my life and living every minute for him in selfless love. Thank you. I needed to hear that today. We are in Kampala to adopt a beautiful 9 year old daughter and had a long, frustrating day with the judge. It is a great reminder of God's love for each of us. This is such an important truth, and dangerous in its own way; that we are His beloved favorites. I pray alongside you that we would know it, deeply. "Thank you" isn't sufficient to say how much I appreciate the example of Christ's love you live. Peace be with you, sister. My 13 year old daughter grabbed your book out of my hands as soon as I finished your last typed word. She took it to school to read during her required reading in Language Arts. I have no doubt your words and story and life will inspire her. Your book was raw, and beautiful. Thank you. You are such an inspiration to me!! Very. VERY beautiful. I understand this need to trust so well. As a woman with parental love for 3 children, I watch them daily with a mother who needs Jesus so badly, but doesn't even understand. And I want to rescue them constantly, but I have to learn His sovereignty more closely and to trust Him with all that they are, so they can all know Jesus. But it is hard. Thank you for your words and your faith, and your openness that allow me to understand and witness this kind of trust and attempt to put it into practice. You don't know how meaningful that is. I have no words for you heart or your wisdom...you are so right and so wise. That last sentence gave me chills. Lovely Katie. Thanks for sharing this. "..Faithful God did not let go of our hands. This new life has been hard to learn. But we have learnt it. Life changes in an instant and God sees all of it, redeems all of it, uses all of it for His good." AMEN! Praise God. Praying for all you are doing that there would always be an army of encouragers to hold up your hands when you are weak as with Moses! Wonderful post, Katie. Thank you for your wisdom. Speaks to me every time. I'm hoping to one day come experience this kind of loving trust in a place that God has in store for me. I just finished Kisses for Katie last night. I'm so relieved to hear a follow up about Jane. A month ago I saw you (Katie) at Catalyst Atlanta. It was so encouraging to hear about your ministry and the impact you with God's power are making on this planet. God has given you a heart that is refreshing to know exists. I am forever changed by your journey. Thanks for being obedient even in the loneliest of days. Katie...I have read this many times, in the last couple of days. Thank you for the post!! Not only does God use YOU where you are. But also, God uses you to encourage the hearts of people you have never met, far far away!! I heard the story of Jane and Nancy via the podcast of your talk with David Platt. I had to let go of a foster child last year and it was one of the most painful and difficult things to do. Thank you for reminding me that he is one of God's favorites and He will take care of him better than I could. powerful, katie, powerful. i am a new follower to your blog, and you are inspiring me already! blessings on you! I loved this post. Thank you for sharing. I needed to read this. Thank you for sharing. I am one of God's favorites, too. Katie - your faithful walk with our faithful Lord is so beautiful and rich. Oh how I long for that richness. You are teaching me so much and I'm sure God is using you to teach many others too. I may never meet you here on earth, but I am praying for you and your precious family. With much love from Maryland! amazing! i need to read your book! Thank you so much for sharing your joy Katie. A year and a half ago, the spring I turned sweet sixteen, I read your post, My Heart Spilled, and God used it to begin the best change of my life. I put everything on the line for God and found Him to be the best friend I ever had. But still, right now is the painful growing time. Sometimes I wonder, after this, will He be enough? Will He be enough when my sweetheart and I part ways for the sake of the Gospel? Will He be enough when the tears fall so hard? Will there still be joy? Thank you for reminding me of the truth: There can only be complete joy when there is complete surrender. And when there is complete surrender, there WILL be complete joy. Keep on keeping on! Beautiful indeed. I think I will share this with my fifth grade class. It is difficult to be mean or rude to someone if you look at everyone as one of His favorites! Oh that we could all live this mindset out daily! wow that is deep, shows a really worshipful heart! Thank you for sharing. I've been encouraged to see others as God's favorites too! Thank you, Katie! As a single mom of 7 adopted kids (one of whom recently went back to his birth mom after 7 years), you encourage and challenge me to persevere through the tough times, to "take every thought captive", and to continually ask Jesus to give me His heart for the people and circumstances around me. I know you do not know me, but I am just commenting to say something important. I do not know if you know who Deogratias Niyizonkiza is, but I just read in my Intro to College Literature class a book on his life. His struggles, his fear, his over-coming obstacles to help others story...and he reminded me of you. He tries his best to help everyone, no matter what they've done, nobody who they are, just like you. If you ever get the opportunity to meet him, I think you should. My teacher is close friends with him and maybe you all could skype sometime and talk? Just rambling my ideas out. May God bless you! Peace and rest in MY GOD!!!! My husband and I have adopted 6, would have been 7 children. We will continue to live Out HIS plan in our lives. My hubby these last few days have been saying the exact same thing, " We would do it all again" no matter how much it hurts. I too feel the same, thinking about my boy calling someone other than me "mommy" and how it literally feels like my heart is going to rip apart. However it is not our life to live, but it's the LIFE of HIS will. Oh, Katie, I felt your brokenness a year ago, and I feel His glory today. I knew God had more plans for your family and Nancy's. So thankful for Him, who is in the business of setting the lonely in families and turning broken into beautiful. Thank you for this beautiful reminder that every person is precious to Him. I just finished reading "Kisses from Katie." I have never been so moved. I plan to purchase several more books and give them to people I think will also be moved, and them ask them to pass their books to others. My prayers are with you. I plan to purchase some beads as a constant reminder of you and the work you are doing through Him. Hello,so happy i found your blog! would love a follow back. Oh Katie. I am weeping here, reading this. Beautiful...amazing. And I'm SO excited to get your book...just ordered it the other day! Dude, your blog rocks my world in the best way every single time! Blessings!! Dear Katie, my sister in Christ; I heard you on the Dave Ramsey show and bought your book. I read it in a week, savoring each entry and chapter. I have seven children, from 5-17 years old. So I've been doing the Mom thing for 17 years, and always wanted to all of my life. But when I got to 7 kids, I found so many things to do and so hard to get things done. You have taught me to love them better and deeper, to give more grace, and to just love them, and love them more, so they can realize Jesus loves them too. Thank you. You have represented Him well. He is glorified by your love and obediance. So sweet, so true, so powerful. Thank you for your words. Hi Katie, I am a young Mum like you, with about 10 children less, trying to same, nonetheless, to obey and honour my Lord with the task he has given me. But as I was having my time with Jesus this morning, you came to mind and I just wanted to urge you to stand firm. Hold fast, guard yourself and your family. You have held Him up. Your testimony will come to hundreds of thousands. Millions even. And the devil is a jealous enemy. Set your defences. He will try to discredit your witness in ways you can never anticipate. You have One interceding for you, His power is sure. You need not be afraid, only know that you can never be a threat without also being a target. The time that a soldier prepares for war is not IN war, but in peace. In times of peace, prepare for war. Thank you for giving girls like me a role model to look up to that follows Jesus regardless of obstacles. I will be praying for you Katie and I just got your book! Very excited to read it! I just finished reading your book and I so hope there is another one in the future. You are a woman of God and your children and the people of Uganda are so blessed to have you as apart of their lives. wow, this really hit home with me. we are all His favorites! we should love everyone just like He loves. Wow! Thank you for reminding us. And thank you for showing us beautiful scars. I just bought your book to send to my daughter who works with and has adopted orphans in South Africa. I told her I would 'skim' the book before I posted it...little did I know how hard it would be for me to just 'skim'!! I did a little more than that and then posted it off. Great book!! Oh Katie, how I wish I had your incredible faith and wisdom! We took in four grandchildren three years ago and now their mom wants to take them home. I believe God sent me to this blog for your words. It is time for them to make their own family . It hurts and there have many tears shed over the right decision. Praying for the strength to do the will of the Father with the grace and mercy of the Father. Thank you for your words and wisdom for this grammy. Katie, this is just amazing. Praying for peace and faithful reliance on God through all things. I was the one to run into you and your family at the Amsterdam airport after spending time with the Boones. Praying for your family and ministry, it is a beautiful thing to be at the mercy of God, to be so perfectly loved. Praise God for his glory and may it be seen among the nations in Masese. Hey Katie. I don't know you but I believe I passed you and your beautiful clan on the streets in Jinja last week:) My family has been staying at Arise Africa just down the street from you for the past 7 weeks and we are in the midst of adopting our little jewel. I love this post. It brings such perspective to how God has called us to treat His creation. As I stood in front our Muslim Judge last week, he was grilling me about our ministry and what an abomination it was that we wanted to adopt this little Muslim girl into our Christian family. I'm not exaggerating when I say that all I could think in my head between responses back to our judge and prayers to our Heavenly Father was that God loves this man. No matter how much he despises his Son, Jesus, no matter how much he despised me as a Christian mother, no matter what this man's heart looked like...God loves him. Something in me aches for this man. Thank you for such a sweet reminder! I'm spending a little time checking out new blogs, so i thought id stop and say hello to you folks. Richard from the Amish community of Lebanon Pennsylvania. Amazing! I have also learned the beauty of the darkest place. we too lost our baby boy in an adoption case and we came through it only by God's grace. We are now on the journey to see what he has next. Katie, God is so good!! You show us how to love in Jesus name, blessings on you. I am halfway though your book. God is using it very powerfully in my life. Because of your testimony, I have begun praying that God will grant me the gift of willingness to live more completely abandoned to His will. Thank you for sharing your life, your light, and your love with a hurting world. I will continue to pray for you and your precious family. Love your blog, Katie! I have told many people about you. There's just one tiny thing--reading the blog on a black background is very difficult. Any chance of changing it to white? It would be a lot easier on the eyes! you have such a wonderful gift to express yourself so elgantly. I don't understand how you do it. You are really such an amazing person. I know you don't know me but I'm proud of you. Wow.... I just heard about you from a friend. Saw your book. I can't say enough about how impressed and "God-excited" I am.. My name is Adam Taylor, I live with 16 street boys in Addis Ababa, Ethiopia. I essentially did what you did, except I am not adopting these boys. Is there any chance you could use another friend with very similar passions and similar bravado for Christ? I would love to hear from you. My email is adamjamestaylor13@gmail.com. I have a blog that tells all about what God is doing in Ethiopia, but I don't want to have it seem I am marketing it here. So PLEASE holla at me or let me know how I can contact you. Kampala was where I first fell in love with Africa.. Hope to hear from you and I am praising God for you and what HE is doing through you.. 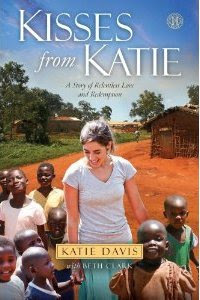 Thank you so much for your book and for the care you are giving the orphans and others in Uganda. May God bless you and keep you. I am also a homeschool mom and I was encouraged to hear of you homeschooling some of your girls. You are a wonderful testimony of how Jesus can come into one's life and totally transform it, take it over, for His honor and glory. My family enjoys learning of the stories in your book as well. Keep loving Jesus and loving people and Lord willing, many of us here in America will be touched with compassion for the least of these through your example and the Holy Spirit that dwells within us. I am reading your book and it is rocking me to the core. Thankful to be one of his favorites too. Blessings!! How awesome is our God. How is the little boy that you took to the hospital that night? Praise God! Keep winning souls for Christ and may the Lord bless you greatly according to His glorious riches n Christ Jesus. You are in my thoughts and prayers! I just finished your book and read this blog a few minutes after. It was so incredible to read more of Jane's story just after your last chapter! Your last sentence in this post brought me to tears. I am 19 and have always desired in my heart to be a mom to orphaned girls, but wondered how I would ever do that - You have shown me it is possible! You have inspired me and encouraged me that God did not give me a desire for nothing. But you also encouraged me in where I am right now. God has also given me a passion to write fantasy and teach ballet, and I know this is where I'm meant to be right now, though part of me longs to be in the middle of that suffering and rejoicing you write about. I was reminded through your book that God is sovereign and He is taking care of those children right now, and when He calls me, He will prepare the way for me. I would love to meet you. God bless you and your precious girls! I love being one of His favorites. I am sharing this news!!!!! Your love and commitment to these beautiful people of Uganda leaves me speechless, it utter amazement. Your story is amazing and know that you are changing many peoples lives. Your courage and strength, gives other people the confidence that they can make a difference too. May God bless you and hold you. Thank you for being there where I can't. You don't know me but My aunt told me about this blog. Thank you. "One of His favorites..." Yes! I'd like to print out a copy of this post for a friend of mine who is really struggling. She needs to be reminded of that by more people. So, I guess I just wanted you to know that you're even helping a fourteen year old girl over hear in the states to help her friend remember that she is "one of His favorites.."! Woke up at 5 am with our heavenly Father telling me to pray for you, so I did! Just read your book and it has spoken deeply into my life. I just finished your book and I'm in awe of how God is using you and blessed by your willingness to serve and give all glory to Him. I have a deep longing to adopt...am waiting for my husband to fully get on board. Thanks for writing the book and for giving this mama even MORE passion for adoption (didn't know that was possible) and for the continent of Africa. Your faith inspires me to trust God more and give all glory to him for everything he does in and through me. Thank you, Katie. And thank you, Jesus, for using Katie. Just finished your book. The amazing work the Lord is doing through you shines off every page! The Lord is good and He endures forever. Praying for many blessings and sponsors for your children and all Gods children. Just wanted you to know I am reading your book to my three young daughters. It has brought us such wonderful conversation! My 9-yr-old daughter Rachel wants to grow up to work at an orphanage. Thank you for the example you are setting for the next generation!!! Blessings on you and your family Katie! After reading your blog, I have to say you are a good writer, who is live with heart. So thankful that you have got Jane back in your world - my heart broke when she had to leave. Thank you for allowing our God to speak through you to so many of us. Dear Katie ~ I recently encountered a man who was homeless and completely broken inside. He was in so much physical and emotional pain, all he could do was use his strength to fight back his tears. I held his hand and prayed for him the best way I know how, and when it came time to speak something encouraging to him, normally I would have been at a loss for words. However, praise God for putting your words into my heart because I was able to recall them and share with this man! I told him that he is one of God's favorites! He shared with me that he is an alcoholic, and I had to repeat the words to make him believe them. Thank you for allowing the Spirit to speak through you. The ripple effect from your life is literally endless. We all love you, sweet girl. but i will anyway - because the LORD laid it on my heart to share with you! my friend wrote this guest blog on my blog (i spent a year raising money walking for Jesus wells) that I think you'll love because it talks about Jesus having "favorites" :) hope you enjoy it like I did! Wow! You speak like a wise woman well beyond your years. I am bursting from the love that exudes from everything you say. I am amazed to see someone so young so completely in love with Jesus. I just saw an advertisement for your book and decided to look for a website. My husband may have an opportunity to go to work in Johanessburg South Africa. We have started praying and asking God to show us his will. You see several months ago I encountered a story that absolutely broke my heart. I was appalled to read about the Albinos in Tanzania. And I was determined that somehow I wanted to do something to make a difference. So I started praying. That was all I could do. And now this possible job offer for my husband...and your story!!! You are an amazing young woman...loving like Jesus...what a priceless gift you give to those children. I am so grateful for you and your work. I pray that God would continue to fill you to overflowing. I pray that you are blessed beyond measure. I pray that God will give you the strength you need everyday. I pray that you will feel His presence in a mighty way in the days ahead. I pray for your safety and the safety of those precious children that you care for. I pray that you have someone to care for you as you do for those children. And Katie, I will continue to pray for you and the work you are doing for God's glory! True love and obedience led you to a place where you could trust that this very heartbreaking situation would work out the way God intended - not the way that you wanted it to go. Very beautiful message. I know your probably not going to read this comment.....but I want you to know you are my insparation!!! God loves you SOOO much!! Please give my greetings to all your loveley girls!! One of his favorites... This phrase and your writings have been such a God given reminder of how to receive the people I run into each day. Thank you for sharing your life with all of us. Katie, today I completed your book.. and needless to say I have been shaken and stirred to my core.. to be the light in the darkest place and not to fear the hard places. Your story is one of obedience and faithfulness to our Father Who gave it all for us... thank you Katie for being a bitter sweet reminder of what this Christian life is really about... I cannot be the same, God has used your story to revive an overwhelming desire to walk dead centre in the will of God... "making a difference..one child at a time." My heart is broken and I wouldn't have it any other way. That you can say that last sentence after all you have been through truly touches my heart. After my Daddy died seven months ago, I felt completely separated from God. After reading your book and your story, I know that God placed that book in my hands at this time in my life for a purpose. I cried out to God so many times with "Why?" and when I read John 9:3 in your book, something in my heart broke and renewed all at the same time. Thank you for blessing me and so many everyday. This is incredibly beautiful. Thank you for sharing your words and heart.